I have a problem with the word classic. I also loathe five-star reviews, whether they represent the collected wisdom of some of the best film reviewers in the world or not. How you can judge over a period of time something to be of the highest quality is a baffling exercise, especially if you’ll only ever watch the movie once, maybe twice at a push. I mean, seriously, how many times have you seen Amadeus (1984), Brazil (1985), The Maltese Falcon (1960) or A Room with a View (1985)? How about A Streetcar Named Desire (1951), Synecdoche, New York (2008), The Third Man (1949) or Dancer in the Dark (2000)? That’s what I thought. And how many times have you watched Total Recall (1990) or Con Air (1997)? Is it just me, or is there something wrong with the rating system? It’s so bad that I’ve actually stopped buying movies. It doesn’t matter how many I own, could be sixty or six hundred, because there are only fifteen or so that I will keep pulling from the shelves, keep watching, keep finding an excuse to enjoy time and time again. For crying out loud, some of the ‘five-star-films’ in my collection still have cellophane wrapped around them. You can call them guilty pleasures if you wish, but I prefer to call them classics; often pulled to pieces by critics, easily ridiculed and yet in their own unique way, works of art I’ll never tire of, still be surprised by, and most importantly, forever enjoy. The Asphalt Jungle (1950) may get rave-reviews, but stick me in the jungle with Arnie any day of the week. John Carpenter’s best-movie-ever introduces us to Jack Burton, a tough-talking, wisecracking truck driver whose hum-drum life on the road takes a sudden supernatural tailspin when his best friend’s fiancée is kidnapped. What follows is a crazy, full-throttle, action-riddled ride full of inventive set-pieces, explosive action, cracking villains, dreamy romance and ingenious one-liners that will forever stand the test of time. 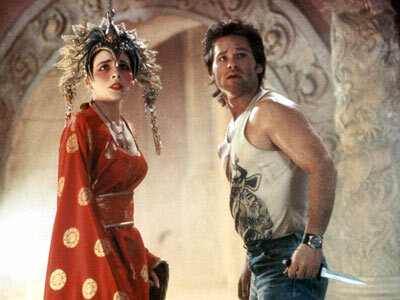 And as ol’ Jack always says, Chinatown (1974) is nowhere near as magical as this. 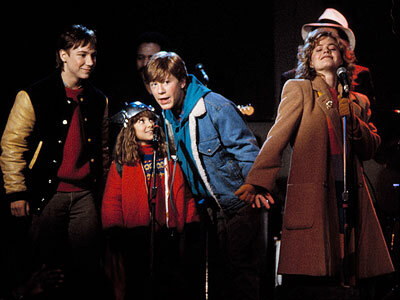 What teenage dreams were made of, Adventures in Babysitting follows Chris (the forever gorgeous Elisabeth Shue), a fun-loving girl who is babysitting when her friend Brenda calls and begs to be rescued from the dangers of a dingy downtown bus station. Taking the kids with her (many nights were spent dreaming that I was one of them), a dull evening explodes into life as they are chased by gangsters, pursued by a hook-handed monster, avoid warring teenage gangs and get rescued by Thor, all before singing for their lives in a seedy blues nightclub. Director Chris Columbus is actually a genius (this list proves it) but his first outing will always be the best. Some fight for money, some fight for glory – he’s fighting for his son’s love. 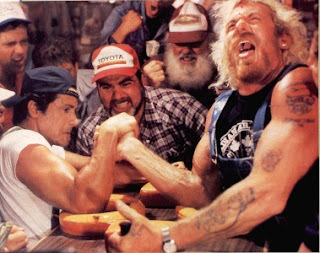 Well, he’s not really fighting - more of an arm-wrestle, really. But it is the world championships, and Lincoln Hawk (almost as good a moniker as Mason Storm) hasn’t seen his son since birth. His ex-wife may be dying, and his father-in-law will try anything to stop them from getting to see her, but Lincoln drives an eighteen-wheeler, is hard as nails, and does a sneaky little thing with his fingers. Teenager baby (Jennifer Grey), goes with her family on vacation to Kellerman’s holiday resort in the Catskill’s Mountains, and things are pretty tame until she meets Johnny Castle (Patrick Swayze), a dance teacher at the resort who mesmerises Baby, and generations of females, with his silky dance moves. 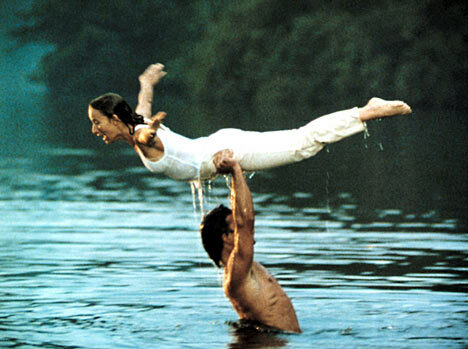 He teaches her how to dance, he teaches her how to love, his cousin even teaches her how to carry a watermelon, but most of all, Dirty Dancing teaches the male audience that it’s okay to like chick flicks, up to a point. Just don’t try ‘the lift’ when you’ve had one too many – leave it to the professionals, and never put Baby in the corner. She hates corners – freaks her right out. The year is 2017. The world economy has collapsed. The United States has become a military controlled police state which governs all media output. Here, criminals have a choice. 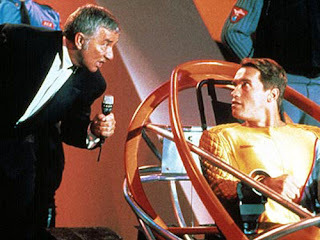 They can serve their sentences or they can take part in "The Running Man", a government owned violent game-show where contestants running for freedom are pursued by monstrous celebrities, all in the name of entertainment. Ben Richards (Arnold Schwarzenegger), framed for a crime he didn’t commit, is about to change all that, and what follows is the greatest action-flick to ever grace our screens. Forget Arnie’s sublime one-liners, ridiculous fight scenes and an opening sequence that will forever blow your mind, the highlight here is when Killian, the show’s presenter, finally gets his comeuppance: “I hope you have enough room for my fist, because I’m going to ram it into your stomach and break your god-damn spine!” – can’t say he wasn’t warned. Jack Putter (whatever happened to Martin Short?) is a hypochondriac that hears a voice inside his head – that of Tuck Pendleton (Dennis Quaid), a hot-shot Navy pilot, subject of a secret miniaturization project that goes a bit wrong – he’s injected into Jack by mistake. 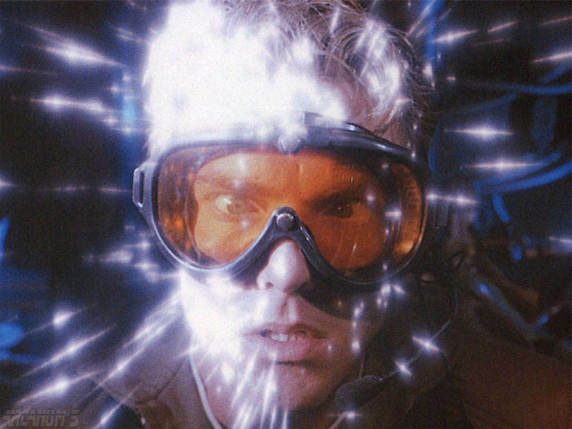 This isn’t good of course, especially on coupon-day, but Inner Space thrives on a crazy and clever script welcomed by the team that brought us Gremlins (1984). With goofy Bond villains, stunts that still impress, a convincing love-triangle and wonderful dialogue (“Play with it, son, don’t talk to it”), Joe Dante proves, yet again, that the eighties was his decade. It’s a shame Zemeckis beat him to the time-machine otherwise he'd probably go back. It’s that man again. And no, I’m not talking about Spielberg (or Dante for that matter). 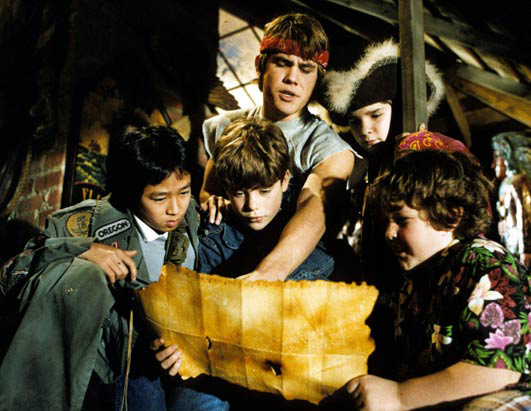 Chris Columbus wrote the script to one of the greatest movies ever made following a group of small heroes with a mysterious treasure map into an underground realm of twisting passages, outrageous booby-traps and a long-lost pirate ship. Introducing us to the coolest bunch of movie characters ever, The Goonies has everything you could ever wish for in a movie: a loveable monster, creepy villains, booby traps, lame gadgets, pirates and the truffle shuffle – and how can we forget the delicious chemistry that tastes even better than a Baby Ruth? The Goonies may always mess up, but Richard Donner certainly didn’t. 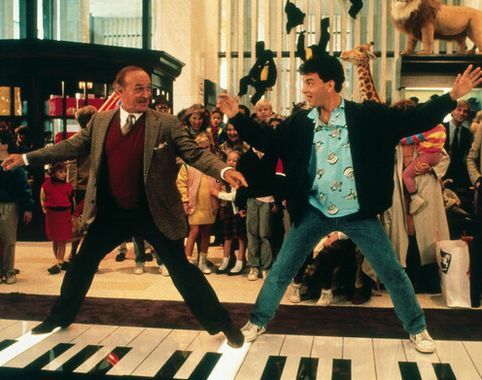 Tom Hanks may be slightly annoying these days but he deservedly won rave reviews for his Oscar nominated performance (1988, Best Actor) as a twelve-year old boy trapped inside a thirty-year-olds body. Josh Baskin wishes he was big, and what do you know, he wakes the next morning to discover that he is. His innocent outlook on life lands him a job at a toy company, where his inner wisdom enables him to successfully predict what children want to buy, thus making him irresistible to a beautiful, ambitious, colleague (Elizabeth Perkins). Similar to Adventures in Babysitting, in that it turns every young boy’s dream into reality (I had to share a bunk bed with my twin brother instead), Big may be overplayed on television in the United Kingdom, but its charms will never fade – my favourite Tom Hanks movie by a considerable distance. Behind every great love is a great story, and so it proves, as Allie (the beautiful Rachel McAdams) and Noah (the ultra-cool Ryan Gosling) begin a whirlwind courtship that soon blossoms into one of the most gut-wrenching, fight-back-the-tears movies ever made. Based on the best-selling novel by Nicholas Sparks, there’s something about The Notebook that works, and never have I had to endure a film that pulls at the heartstrings so many times. Well, not since Over the Top, anyhow. A timeless love story, for sure, with an outstanding cast, strong characters, and more than one moment that could easily rival the greatest ever love scenes to grace the silver screen. If only building a house was that easy – sure would make Valentine’s Day easier to negotiate. 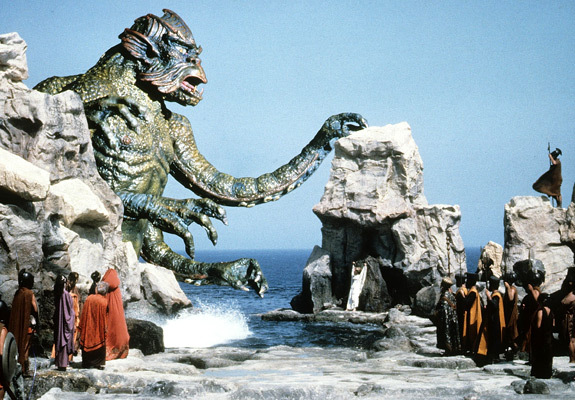 Forget the miserable re-imagining; the original Clash of the Titans acquainted us with Olympian gods, mythological monsters and heroic mortals that will never be bettered. Harry Hamlin is Perseus, mortal son of Zeus (Laurence Olivier) and champion of captive Andromeda (Judi Bowker), fighting heroically against sea creature Kraken, snake haired Medusa (the highlight), some giant scorpions and a two-headed dog, all with the help of a flying horse called Pegasus. What more could anyone ask for? A clockwork owl, you say? Okay then, why the hell not… Sunday afternoons don’t get any better than this. Without License to Drive, we wouldn’t have Superbad (2007). Les (Corey Haim) is about to go through one of the most important adolescent rites-of-passage: his driver's license exam. He needs to pass too, because his best friends know only too well that cars mean girls, and Les knows that only a pass will reward him with a hot date with Mercedes (Heather Graham). Sadly, he fails, but instead of contemplating suicide he steals his grandfather's near-vintage, baby-blue caddy and the girl-hungry teens hit the town. Too bad everything that could go wrong does go wrong, but then we wouldn’t get to witness this hilarious ride in all it’s guilty-pleasure, I mean classic, glory. Local Hero (1983) it may not be, but Haim will always be a hero in my eyes. A charming romantic comedy starring Andrew McCarthy and Kim Cattrall (never realised I liked her so much), the story follows frustrated artist Switcher as he switches from one dead-end job to another until a mannequin he creates for a department store window comes magically to life. Turning his career around, inspiring him to be the best window dresser in town, Ema (Cattrall) soon discovers that the real world isn't so easy, even if she is. Famous for its classic theme-song by Starship, Mannequin is cheesy as hell, but even in this day and age, still has enough heart and amusing plot turns to win over the doubters. Some may like it hot, but I'd rather date a dummy, anytime. 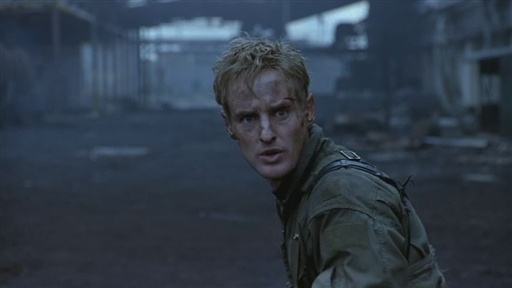 Back when Owen Wilson didn't want to become the clown, he starred alongside Gene Hackman in this high-flying action thriller with tense set-pieces at every turn. When U.S Navy pilot Chris Burnett (Wilson) is shot down during a recon mission over Bosnia, he must fight to stay alive and evade Serbian forces. With time running out, only Hackman as his commanding officer has the balls to risk everything by launching a rescue mission, bringing with it some of the best action-sequences ever witnessed: just how tense is the scene where Wilson plays dead in a field of bodies? Or how about the edge-of-your-seat thrills of the trip-wire minefield - soul-stirring even without the bad guy turning up? Just two of the rip-roaring scenes this film repeatedly throws up, making two hours feel like ten minutes. Shame you can't say the same for Heat (1995). Whoopi Goldberg should have made just the one film, and this is obviously it. 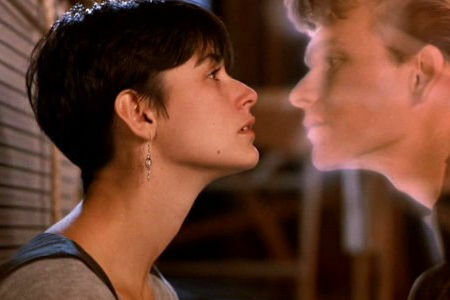 Patrick Swayze (back again) plays a ghost that must team up with her to uncover the truth behind his murder - and to rescue his sweetheart (Demi Moore) from a similar fate. Forget the pottery scene; Ghost is a touching love story that also happens to be funny and dark in equal measure, questioning the supernatural in a creepy way most horrors don't get close to. It doesn't matter how sinister the plot becomes because we've already fallen in love with the characters, even Whoopi, so when we're finally confronted by the inevitable tear-stained finale, we'll give director Jerry Zucker a break and allow him to over indulge all he wants. Don't ever get it wet. Keep it away from bright light, and no matter how much they cry, no matter how much they beg, never, ever let them borrow it - tell your friends to buy their own bloody copy. Although widely recognised as a brilliant movie, it’s never been mooted as a classic – until now. 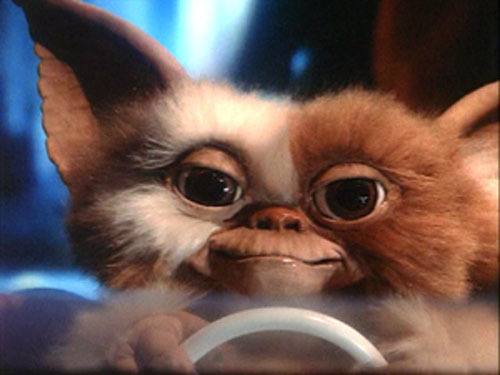 Gremlins is one of the greatest stories ever told (written by Columbus, you see) as young Billy Peltzer is given a cuddly new pet for Christmas from his father, a lame inventor, with three very simple instructions. Tragic, hilarious, and incredibly delirious, Joe Dante does it again, creating one of the most enjoyable roller-coaster rides since movies began. And I haven't even mentioned Gizmo once!